Montegrappa takes great pleasure in creating pen collections for specific professions. From the producers of grappa to the great chefs, to lawyers and psychologists, to musicians and doctors, Montegrappa has adapted each career’s symbols to create a visual theme that honors the occupation chosen. Montegrappa is then very proud to announce a new pen celebrating the bravest of the brave: airplane pilots. 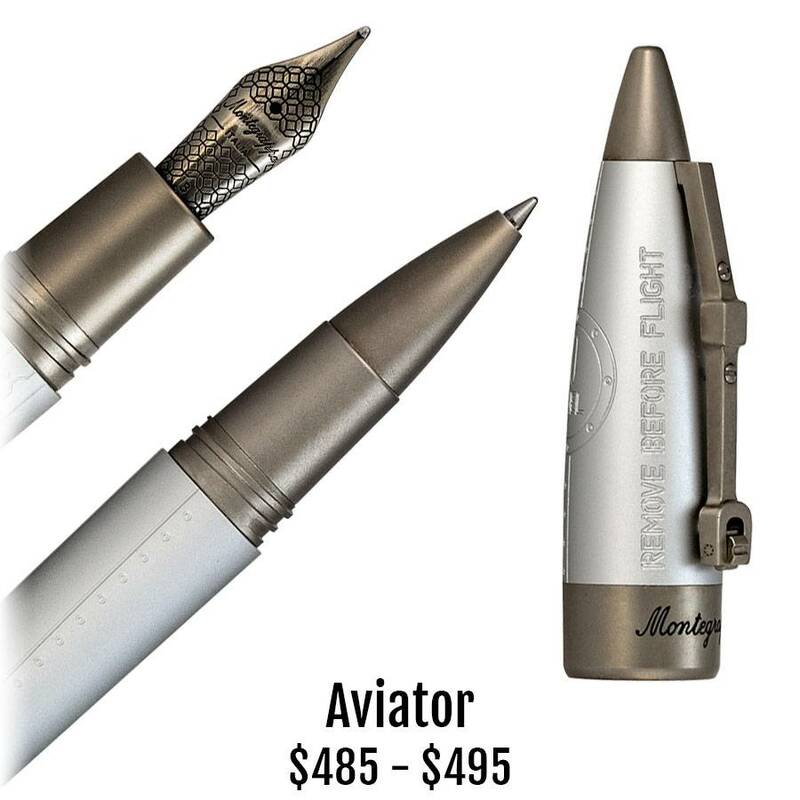 To evoke the trappings of aircraft, the Aviator pen is made entirely of aluminum. Its profile is rounded, to reflect the laws of aerodynamics. The pen’s shape conveys the dynamism of flight, its curved pen barrel blending into a sharpened cap, conceived to resemble both aircraft and even perhaps rockets. The finely detailed features such as ‘No Step’ and ’Fueling’ only add to the delight you sense each time you reach for your fanciful but very capable writer. The Aviator is available in fountain pen, rollerball and ballpoint. The fountain pen’s nib is made of stainless steel, offered in fine, medium and broad. Aviator’s filling system is both cartridge and converter fed.